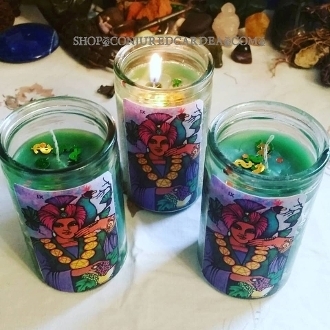 This candle embraces the prosperous energy of the 9 of Pentacles tarot card. Dressed and blessed with my Opulence oil and curios to draw wealth, attention and business to you! LISTING IS FOR ONE CANDLE. 50 hour burn time, 4 inches tall.